Today Nintendo felt a blow like they have never felt before; their first annual loss was reported, a loss of approximately 45 billion yen (£340 million). The gaming company, which started out in 1889 making playing cards, has suffered a steep drop in sales throughout all its current gaming hardware. Sales targets missed. Nintendo expected sales of the Wii, 3DS and DS to be 13 million, 16 million and 11 million respectively. Figures ended up closer to 10 million, 14 million and 5 million respectively. Together these figures amounted to a 36 per cent sales drop compared to the previous, profitable year. Competition from smartphones and tablets in portable casual gaming which is traditionally a strong market for Nintendo. The Wii nearing the end of its life cycle with fewer games developed for it than rival systems. 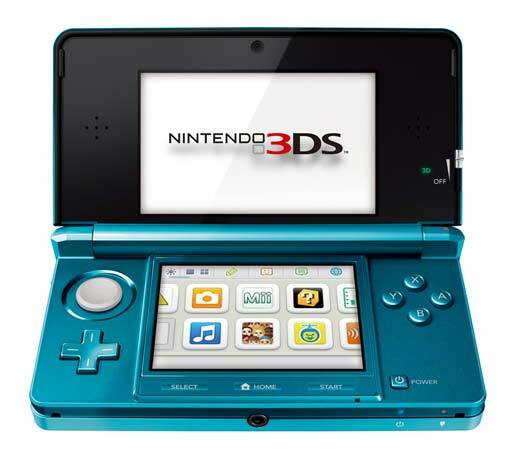 Nintendo cut the price of the 3DS to encourage sales and make back the money on software but the strategy wasn’t enough to put the figures for this year into the black. While Nintendo may feel under pressure it still has plenty of cash reserves (US$14 billion) to last another couple of hardware launches. The management are confident of the success of the coming Wii U which will be available significantly earlier than new systems from Microsoft and Sony. The new figures, the first annual loss for Nintendo, are not going to result in any strategic rethink, said Nintendo boss Satoru Iwata. With the weaker yen now in place and launches of some big Nintendo games coming up (inc a new Mario Party and Dragon Quest) the company might be able to get back in the black this year. Then the Wii U will be launched and Nintendo say they have learned from the mistakes of the 3DS launch. Analysts suggest that the expected costs of making the new Wii U will require that it is sold at approx $350. Also a suggested tactic is that the company should consider releasing its famously playable games on other manufacturers’ devices. However that would be a drastic change of strategy for Nintendo which would only possibly follow if the next couple of hardware releases are resounding failures. Nintendo need to make more games. Mario Kart Wii, whilst fun seriously lacks anything innovative from Nintendo. Mobile gaming consoles have been Nintendo's consistently strong point for like…. well forever. Personally i don't see it gaining any market share in the future, only losing it to mobile phones as they become more powerful. When you consider that most people will replace their handset every 2 years whereas a mobile console needs to stay relevant for much longer, you can see why its a battle for them. Sony have seen that there is a future in mobile phone gaming and started releasing phones and games into the market, i cant comment on the success of this however it is why i found the release of the Vita so unusual. I think the Wii U is going to be a difficult one for Nintendo to get anywhere with, it could be another dreamcast to be honest. The big thing about the wii was that it was cheap and a good laugh to play in groups of people. The Wii U looks like its set to be a bit more of a serious console however i dont see it getting any really serious games made for it. As a long-term Nintendo fan, even I feel like Nintendo is not hitting the right note consistently recently. People accepted the Wii's low power on account of the novelty of motion control and the games, but that time has mostly now passed. Even with the Wii U tablet controller, if the console isn't at least more powerful than the 360 and PS3, a lot of fans are just going to leave the Wii U generation. Considering how old the tech is in the 360 and PS3, if the console is only as powerful or just under those, it is going to irritate a bucket load of potential buyers. More importantly, Nintendo lives and dies by its games. Where's the latest Starfox, huh? No, I don't want a Virtual Console version or a remake, I mean an actual new game? Where's my F-Zero, huh? Where are all the rest of the Nintendo console staples? Outside of the games, the online integration can't be sidelined any more if Nintendo wants to get any of the core 360/PS3 audience. An online account (read: NOT friendcodes) with achievements and the ability to chat with friends. Treat your consumers like adults, not children, Nintendo. Just my view. Your mileage may vary. Because of the lack of HDMI, mine is gathering dust. Games look awful on my TV. It's a shame because there are some SNES games that came out that I would happily buy and play. I only hope the games you bought on the Wii, will transfer to Wii-U on both CD and downloadable.